1. Gunasekaran, S., & Chaplin, E. (2012). Autism spectrum disorders and offending. Advances in Mental Health and Intellectual Disabilities, 6, 308-313. 2. Hughes, K., Bellis, M. A., Jones, L., Wood, S., Bates, G., Eckley, L., … & Officer, A. (2012). Prevalence and risk of violence against adults with disabilities: a systematic review and meta-analysis of observational studies. The Lancet. 379, 1621-1629. 3. Newman SS, Ghaziuddin M: Violent crime in Asperger syndrome: the role of psychiatric comorbidity. J Autism Dev Disord 39:1949-52, 2008. The media has yet to discuss the real issue regarding Adam Lanza, the failure of the educational system and what might have prevented the massacre of 27 innocent people in Newtown, CT.
Did his school district follow the law and provide the appropriate interventions, supports and services that he needed while he was young, which could have prevented him from becoming an evil killer that took so many innocent lives on December 14th? President Obama said that he will put funding toward a solution. Well, here it is Mr. President. Clear evidence of what can be, and should have been, done. These laws are already mandated; they’re on the books. The job of the Executive Branch is to enforce the laws of the land that are enacted by Congress, so that’s what the American people have hired you to do. Enforce the Individuals with Disabilities Education Act (IDEA). Child Find System – Sec. 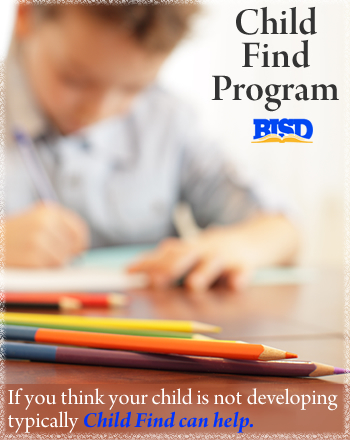 303.321 – IDEA requires all states to have a “comprehensive Child Find system” to assure that all children who are in need of early intervention or special education services are located, identified, and referred. Sec. 300.320 Definition of individualized education program. Case law has further clarified the specific parameters of functional, social, and emotional progress. An example of this is Acalanes vs. Student in California . About the authors: We are parents of children with disabilities and have collectively advocated for the needs of children with disabilities for twenty years. LM is currently a paralegal involved in litigation against the CA Department of Education. This litigation, which was filed one year ago, alleges the State’s failure to appropriately monitor how individual school districts provide supports and services to children with special needs. AJ is currently working as a special needs consultant and has served on various autism-related, non-profit boards. AJ has been very involved in legislative change regarding how children with disabilities are provided services and spearheaded the creation of pilot classrooms for school districts to help them meet the educational needs of children with autism. 20 children murdered in Connecticut school – news media explodes. 446 school age children shot in Chicago, news media silent. Where is the outcry from the national news media about this? We are being inundated with daily and hourly stories on the tragic and horrific attack on the Sandy Hook Elementary School in Newtown, Connecticut and the associated calls for new and stricter gun laws to prevent more killings but the city of Chicago, Illinois, the birthplace of the political career of Marxist/Socialist Democrat Barack Hussein Obama, the city with the strictest gun laws in the nation, nothing is being mentioned. This just proves the political bias of the leftist news media to cover up the truth and avoid embarrassing the Democrat hypocrites who run the most corrupt city in America. The cesspool known as Chicago probably has the toughest gun laws in the country, yet despite all the shootings, murders, and bloodshed, you never hear a peep about this from the corrupt state run media. In Chicago, there have been 446 school age children shot in leftist utopia run by Rahm Emanuel and that produced Obama, Jesse Jackson, Louis Farrakhan, etc. 62 school aged children have actually been killed by crazed nuts in Chicago so far this year with almost two weeks to go. So why isn’t this news worthy? Is it because it would embarrass those anti second amendment nuts who brag about Chicago’s tough gun laws? Is it because most of the kids who were shot and killed were minorities? Or is it because the corrupt media doesn’t want to show Chicago in a bad light? Amazingly, no Obama crocodile tears either. For those of you too dense to get the point of this post, it’s to make the point about gun laws. No matter how tough the gun laws are, the crazed, nut jobs will find a way to get them and if they so chose, use them. No draconian law can stop this, no matter how well intentioned the law is, or if it’s just about leftists grabbing power from citizens and taking away their constitutional rights. This December has seen one of the worst tragedies to hit America in a long time, and the actions of one mentally unstable maniac have caused a large majority of the country to become embroiled in debates about the right to bear arms and what we can do to stop such horrific events from happening again. Sadly for the future of our country, this is unlikely to be the last time we hear of such a tragic event, whether gun possession is outlawed or not. The issue we should be concerning ourselves with is not actually about gun legality but social care, mental health detection and supervision, and public security. The events that occurred in Newtown Connecticut were truly awful, and we should not ever forget the pain and suffering that has been caused by this deplorable tragedy. It should also not make an excuse for seemingly ordinary, upstanding members of society to blast a public display of outrageous threats, hatred and misplaced ideology towards anyone who is legally in possession of a gun. The lefties have come out in force in the last week, berating public figures and ordinary people who take up their right as a citizen of the United States to bear arms. The horrific events which occurred in the school that day are in no way connected to the millions of responsible people who legally own a gun, and do so for the protection of themselves and their families. The issue is not about the 2nd amendment, and people are simple missing the point entirely. It is more than likely that the Newtown gunman would still have carried out this horrendous assault even if guns were not legal. He was mentally unstable, and looking at his preparedness and complete disregard for life, it seems more than likely that his strong desire to commit this awful atrocity would have lead him to attain a gun even if they were not legal. Sadly such events happen from time to time in countries all over the world, many of which do not have legalized gun possession. The real issue is how a young man in this mental state was able to slip through the system undetected and unaided. Obama and other anti gun lobbyists have created a conflict between ordinary citizens all over the country. The right to bear arms has never been such a hot topic, and the reaction of this event by many citizens is deeply alarming. Not only are they misinformed about the true impact that banning guns would have on our nation, they are also showing themselves to be full of hatred and highlighting a lack of compassion and respect for others. Many online debates and social media platforms have been awash with attacks, threats of violence, death threats and other obscenities, directed towards gun owners and associations such as the National Rifle Association. At a time when the country should be mourning the deaths of these innocent adults and children, people are using it as an excuse to direct hatred and blame towards the millions of upstanding members of society who choose to take up their right to bear arms. The way things are at the moment, it wouldn’t be surprising if left wing supporters of a ban on gun possession were actually also backing plans to prevent gun owners from buying a property in their street or apartment block. The truth is that we need to be rational in our response to issues, and address them in a sensible and though out manner, not open up a witch hunt towards those with an extremely loose connection to the issue. The most sensible way to progress over these issues would be to do absolutely nothing right now. With passions rising to such an extent, it would not be wise for the government to rush into creating any emergency legislation before the real impacts of these policies has been investigated with an open and objective mind. A panic reaction is all too easy, and this really would be the sign of a weak leader. It should be Obama’s job to stand up as a calming voice after such an event and ensure that no rash decisions are made about one of the founding amendments which has helped to form this great country. Guns are certainly not responsible for massacres; unhinged people in need of help are responsible, and we should not be getting confused on the real issue here.